In a Raj Thackeray-type move, the Congress-Nationalist Congress Party government in Maharashtra on Wednesday decided to give new taxi licenses to only those persons who are well versed in Marathi and have resided in the state for at least 15 years. Amending the taxi permit rules that has given another dimension to migrant politics in the state since new migrants cannot now get taxi permits, the government however clarified that existing taxi drivers, who hold a valid license, would not be affected by the decision. A decision to frame the new rules that could stoke a controversy was taken a meeting of the state cabinet presided by Chief Minister Ashok Chavan. "It has been decided that henceforth licenses will be issued to only those taxi drivers who have been a resident of the state for at least 15 years and can read and write Marathi," an official from the Chief Minister's office said. The Bombay Taximen's association, the oldest in the city, quickly condemned the decision with its secretary A L Quadros saying it was unacceptable and politically motivated. A sizeable section of over two lakh taxi drivers in Mumbai consists of migrants from Uttar Pradesh, Bihar and Uttarakhand and the decision could have an adverse fallout on those from these states wanting to earn a living driving taxis. About 4,000 new taxi permits are given each year. "There is an attempt to make it (Taxi services) an organised sector and the drivers who will be employed in it should know Marathi, read Marathi and write Marathi. Such is the proposal of the government," Chavan told media persons. MNS chief Raj Thackeray had been in the forefront of an anti-migrant campaign in the state last year and had come in for severe criticism from several political parties. "It is gross injustice to those wanting to drive taxis for livelihood. They are like daily wage earners and cannot go to a school to learn Marathi," Quadros told PTI. Quadros said he would seek legal opinion to challenge the government's decision. 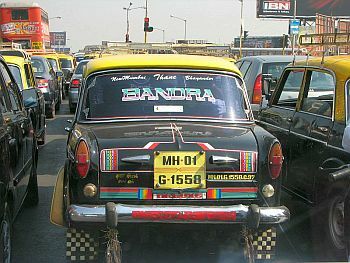 Prem Singh, President of Mumbai Taxi Association, claiming a membership of 25,000, while admitting that the move will adversely affect those wanting to join the profession said his outfit had no issues with the government on learning Marathi. "Most of us already know the language and those who don't should learn it," he said. Meanwhile, Congress Lok Sabha member from Mumbai (North) Sanjay Nirupam, who hails from Bihar, termed the Cabinet's decision as one "in the interest of the common people" and trashed suggestions that the coalition government led by his party was following Raj Thackeray's agenda. "There is no question of the government following Raj Thackeray's agenda. The policy being followed by the government in Maharashtra for the last many years is that if the state gives anything -- ranging from a MHADA flat to MIDC land -- it seeks a proof that the beneficiary has been residing in the state for the last 15 years. There is nothing wrong with that," he said. NCP also defended the decision. State Congress spokesperson Anant Gadgil said his party wants to give preference to locals and that includes people of all caste, creed and religion. due to outsiders the localites not getting opportunity to earn roji roti." Shiv Sena welcomed the new taxi license rules. "All the benefits of Maharashtra must go to the locals. A policy has been implemented. I hope this will implemented. This is in line of old policy and many more decisions have to be implemented. The government is duty bound," party spokesperson Subash Desai said.